- High quality Hope hose spare fittings from Asian brand Stan, as used by world top riders all around the world. 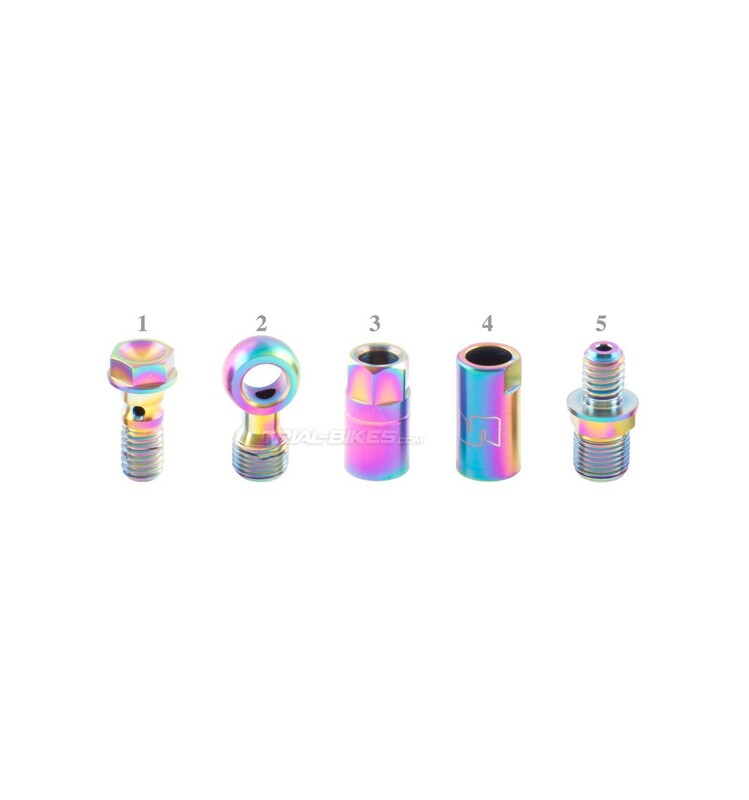 - All the necessary items to connect the hose to the caliper or lever available. 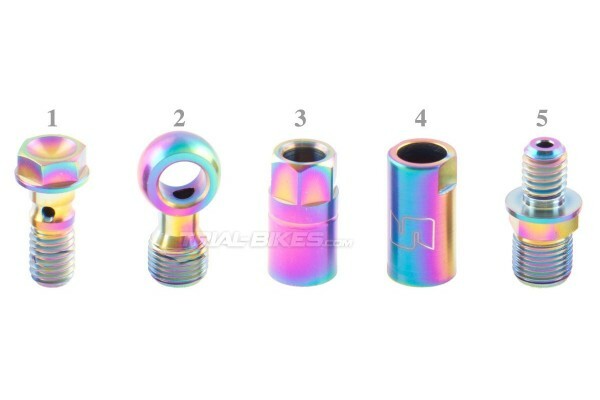 - Stunning anodized rainbow or gold finish will give a great touch to your bike. Always remember to use a proper Allen key, and do not over tighten. We recommend applying some grease on the threads before installing the bolts. In case you are not sure if choosing the right items, don’t hesitate to get in touch.